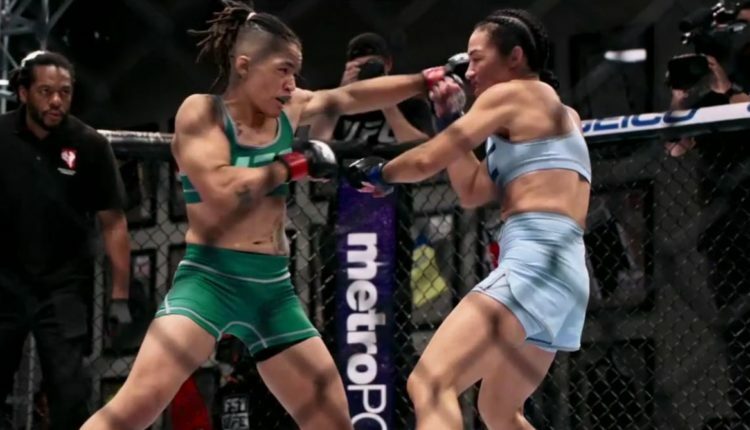 At the beginning of October it seemed that Sijara Eubanks would be in the main event of UFC 230 and fighting for the vacant strawweight title against Valentina Shevchenko. By the end of the month, Eubanks would have UFC commentator Joe Rogan not know who she is, her title shot taken away from her, and moved into a fight at UFC 230 on the Fox Sports 1 Preliminary card against Roxanne Modafferi. Now on Friday, Eubanks would miss the 125 pound strawweight limit at the official weigh-ins for her fight against the woman who replaced her the last time she missed weight and would be hospitalized. Sijara Eubanks demanded a championship opportunity and blasted both Rogan and UFC president Dana White for “disrespect” for Rogan’s comments and White pulling the title shot from her. Eubanks would not only miss weight, but step to the scale two pounds over at 127.2 pounds. The fight will go on, but with Eubanks being docked 20-percent of her purse in the process. “First of all, I’m a champion, point blank,” Eubanks said after being hospitalized ahead of The Ultimate Fighter (TUF) 26 Finale in 2017 and replaced by Modafferi.